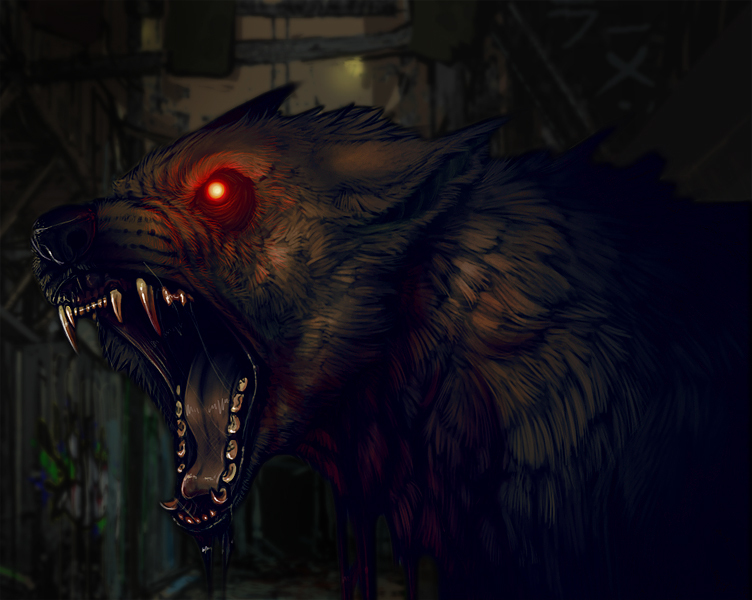 Werewolf: The Apocalypse in World of Darkness: Gotham is a venue about struggle. The struggle is not one of warriors absolved of any uncertainty with a mandate to simply stamp out any Wyrm wherever it breeds. The venue is not so black and white – especially in an urban setting. Garou struggle as they are faced with challenges both within and without. Unflinching and unyielding dogma is not a luxury afforded to the urrah of New York City. Characters will constantly have their faith and beliefs challenged by unpredictable confrontations and predicaments on both sides of the Gauntlet. And even as they struggle to make sense of a complex umbral and urban environment, they still are faced with the nuances of Garou society and all the trouble it breeds. Even with enemies at every turn, characters will find that more often than fighting the Wyrm in toxic dumps and insidious hives, they are fighting among and with themselves as rural traditions clash with new urban ideas. Tradition and lycanthropic fanaticism so strong it rivals any human brand of religious fundamentalism grips at their society and just as it binds it also tears it apart – with tooth and claw. Characters’ beliefs and convictions are tested at every turn until finally they are either destroyed with their fathers and mothers before them or they rise and take their place among the Legends of the Garou. WtA in Gotham is a personal chronicle where we demand that players shed the obtuse interpretation of WtA that plagues so many players in the online Classic World of Darkness community. This is a game about deeply troubled creatures straddling several different worlds and fitting into none of them completely. These creatures try to make sense of their predicaments by banding together and channeling their Beasts which are forever gnawing at them into a brand of fanaticism and arrogance that would make religious fundamentalists on both side of the Middle East Conflict look tame. The common "noble" Captain Planet archetypes and their cutesy anthro sidekicks are not welcome. This is not the chronicle for them. In most online games one finds player characters occupying most key positions in a sept from the outset. The STs of WoDG have had experience in both occupying these positions with NPCs and with PCs. They have found that in populating a sept's leadership with PCs, difficulties arise from a wide range of areas such as players not being able to meet the demanding commitments of playing a leadership role, as well as issues dealing with character development and RP opportunities. Therefore, all players will start with Cliath characters and the Garou associated with key positions will be NPCed by the STs of WoDG. This cuts down on issues surrounding favoritism and let's face it, it's not appropriate to have PCs shackled to watching a Caern day and night like most sept leaders are. It's the PC's role to go out and explore the game world, not sit home and tend the campfire.